Clicks’ Beauty Fair is in full swing and there are so many specials on you’re going to want to toss half their store into your shopping basket. To celebrate, they sent me a not-so-little box of treats and I thought I’d give you a peek inside. I’ve used that NYX Super Skinny Marker liner (R130,45) before and it’s great to create a super fine line as well as a thick one, depending on how you angle it. Those NYX Intense Butter Glosses (R112,46) are fab too – they’re the same silky, non-sticky texture of the original but serve up a double whammy of pigment. If you’ve been wanting to try them now’s a good time to buy as all colour cosmetics are less 10% if you use your ClubCard during the fair. 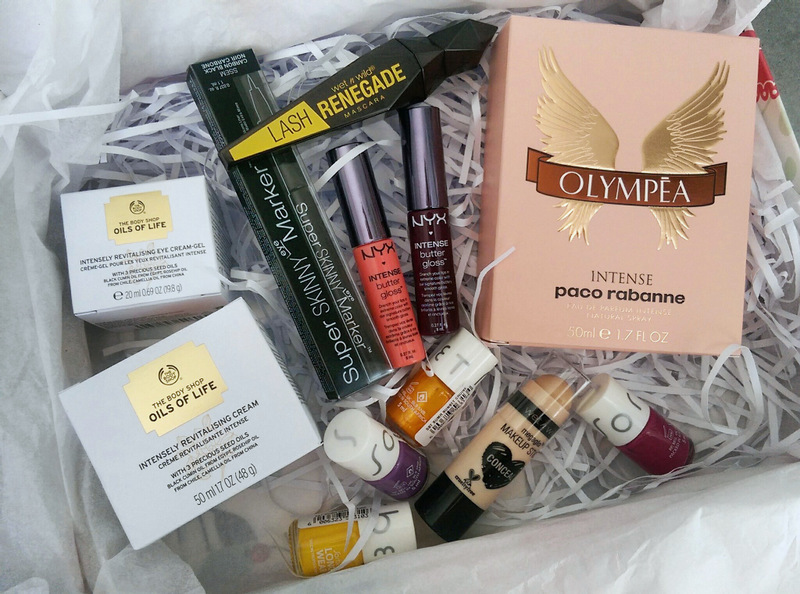 The first thing I opened up, however, was the perfume, Paco Rabanne Olympea Intense. A warm, sweet-smelling scent, it’s notes include orange blossom, vanilla, salt and amber but on me it dries down to what can best be described as creamy, delicious creme brulee. It’s the kind of thing I’d wear on a cooler evening out or just at home on a day when I want to smell good enough to eat. 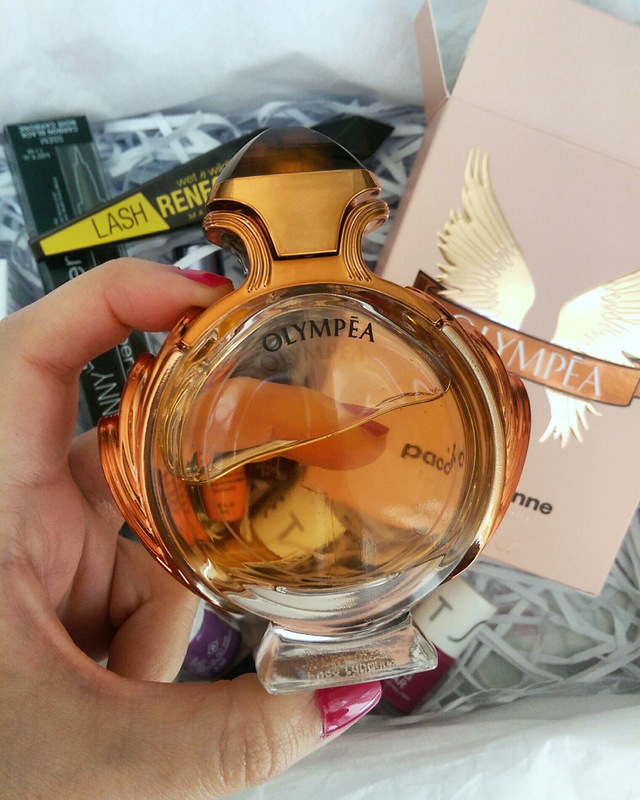 Olympea Intense is just one of many designer fragrances that are now available at Clicks. I’ve been quite impressed with how their offering has expanded over the last little while. Brands include Coach, Bvlgari, Carolina Herrera and more. Aside from the fact that you can snap them up using your ClubCard and get cash back, many of them are available as gift with purchases. Snapping up Issey Miyake L’Eau d’Issey Pure EDT (R990 for 50ml) sees you walk off with a little purse containing a hand cream and candle while buying any Hugo Boss fragrance will score you a cute tote. 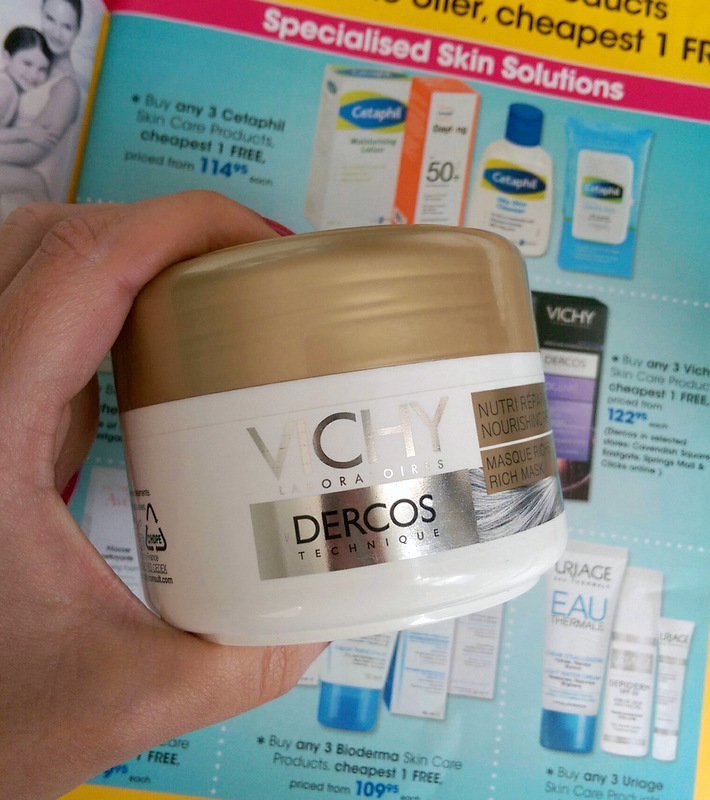 They’ve also got a slew of great ‘buy 3 and get the cheapest free’ specials on certain brands that inspired me to show you a few of my favourites to stock pile, the first being this Vichy Dercos Nourishing Repairitive mask (R320). This baby turns my hair into silk and smells like heaven. I’ve recommended this to so many friends and now they’re all hooked too! Snapping up three for the price of two means you’re paying R213 per tub. Bioderma’s Sensibio H20 micellar water (R220) is another favourite of mine that I’m never without so if I buy 3 pay and pay for 2 that sees me paying just R146 per bottle. Feels like water, works like paint stripper! Another gem I’ve used for years? The Body Shop Tea Night Lotion (R140). If you’ve been a bad girl and picked at your face and need to calm the inflammation fast this is a pocket-friendly miracle worker. Slap it on at night – or any old time – and see a huge improvement a few hours later. Okay, so I’ve just realised this post has take a bit of a spot-busting turn so let’s move on to colour cosmetics, shall we? 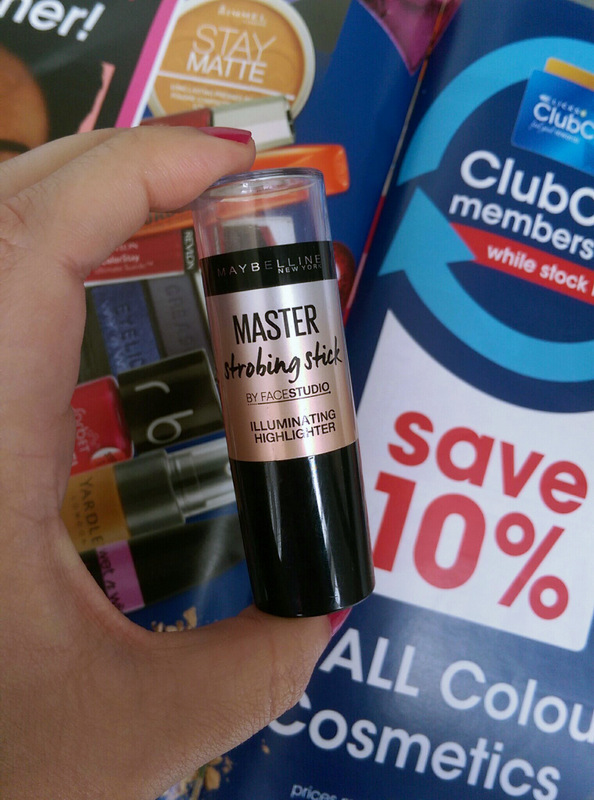 Like I said, they’re all 10% off if you use your ClubCard and, if you’re looking for a great stroke on highlighter that blends like a boss, you’re going to love Maybelline Master Strobing Stick (R159,95 or R144,05 after the discount). I own a zillion highlighters but this is the one I use most and now it’s less 10% with a ClubCard. 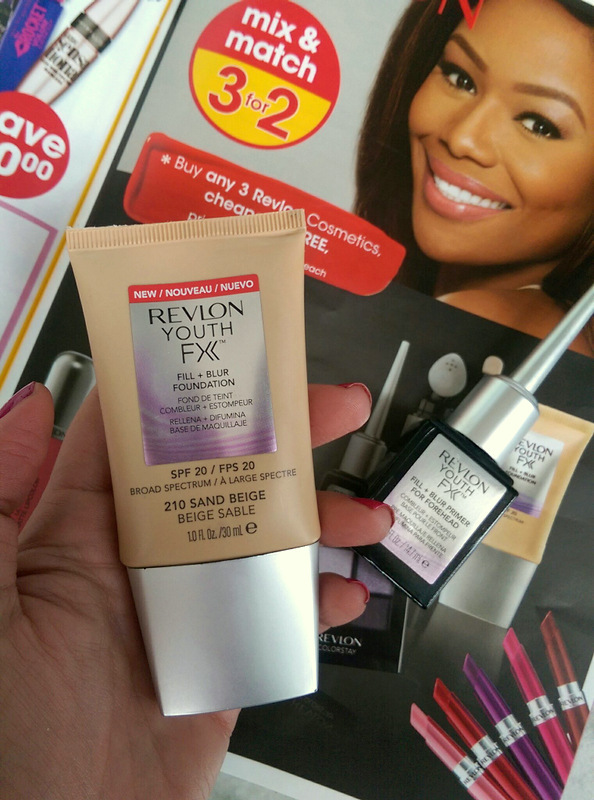 I also recently reviewed Revlon’s new Youth FX collection the other day and really liked their Fill + Blur forehead primer (R199) and foundation (R349). Revlon is one of the brands you can nab on the buy three for two special. You can use the forehead primer anywhere. It’s lovely and light which is great for oily skin. Other few other favourites of mine you can snap up via buy 3 pay for 2? Sorbet Salon Skin Daily Skin Polish Powder (R219,95), Sorbet BB Cream (R99,95), Revlon Nail Care 60 Seconds Quick Drying Spray (R155), Revlon PhotoReady powder (R330), Cetaphil DermaControl oil control moisturiser SPF 30 (R203,95), The Body Shop Baked To Last Blush in Petal (R180), The Body Shop Honey Bronze Leg Mist (R250) and Noreva Kerapil Dermo Regulating Care (R229,95), a fab AHA body lotion that hydrates, blitzes ingrown hairs and strips off old self-tan. Grab this booklet in store and comb through it to ensure you know exactly which of your fave brands are now on special. 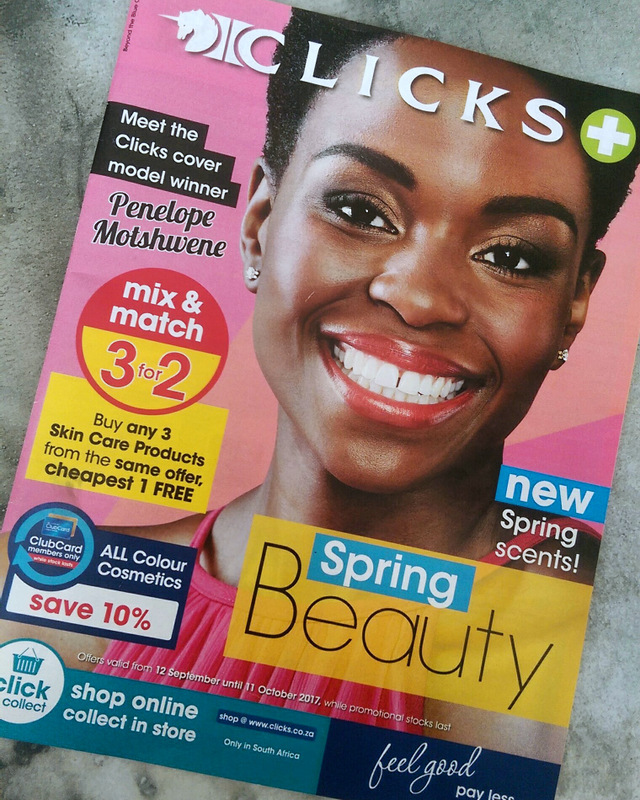 Catch you in Clicks over the weekend? You can also shop the sale online and have everything delivered to your door for free if you spend over R300. Alternatively, you can have things sent to a store of your choice for collection. Easy peasy! Leigh, thanks for this post. Tell me, is that baked to last blush very shiny on one’s cheeks? It’s got a shimmer but I don’t think it enhances my pores which is why I like it. To me it’s a subtle glimmer. I’m very fair though so it shows up well on me. Not sure how it will roll on darker skin tones. Hope this helps! Oh wicked! Yes it helps, thanks! I also have milky bar skin, so it will be ACE! Thanks! In that case you’re going to love it!